On Saturday evening there will be a great concert of the festival “The Lights of Siberia”. 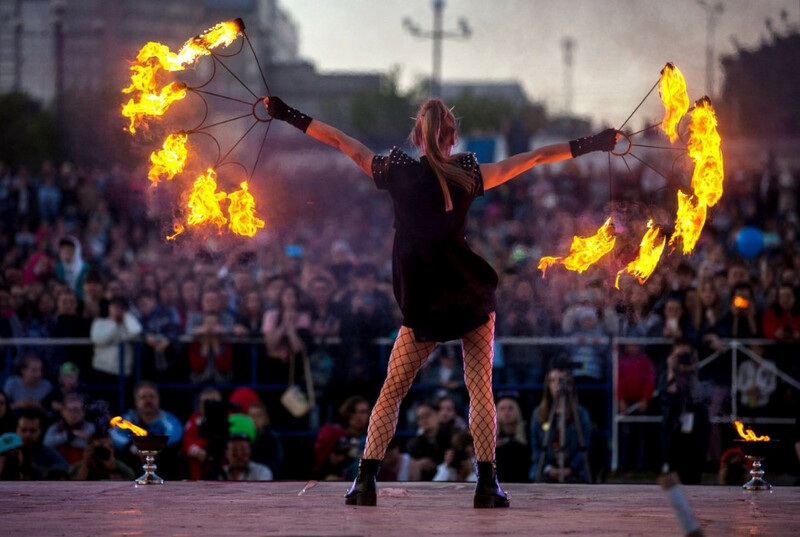 Tamers of elements from different cities of Russia and the near abroad have been performing in Novosibirsk for the fourth year in a row. Guests can enjoy some nice tricks, stunts and pyrotechnic special effects. The concert will be held on May 26th, starts on 20:30 and till 22:30 on the Mikhailovskaya embankment. Free admission.